There has been a great deal of press and political attention regarding the “settlement” between many Swiss banks and the U.S. Department of Justice. The IRS wants to find the thousands of Americans with missing FBARs and unreported foreign accounts. The Swiss banking industry wants certainty in what to expect. As we have previously reported, many Swiss bankers are afraid to leave the country for fear they will be arrested and extradited to the United States to face criminal charges here. Justice Department officials have indicted dozens of foreign bankers and charged them with aiding Americans evade taxes through unreported offshore accounts. The political climate in Switzerland isn’t as rosy as often painted by the American media and IRS press releases. Although the Swiss tax authority and some banks have resigned themselves to compliance, the Swiss parliament and court are still trying to erect roadblocks to any global resolution. Last month, a Swiss federal court ruled that Swiss equivalent of the IRS, the Swiss Federal Tax Administration (FTA), had illegally agreed to hand over client data from Swiss bank Julius Baer to the IRS. A lower administrative court had also ruled against the transfer. Under Swiss law, the Julius Baer case can be appealed to the Supreme Court. This decision appears to be odds with one last year in which the Swiss Supreme Court authorized the turn over of account data from Credit Suisse to the IRS. The final chapter in this story has yet to be written. Whether and if the Supreme Court weighs in on the Julius Baer case probably has little impact on the mounting pressure for Swiss banks to exchange information with the United States and other nations. Although many in Switzerland continue the fight, bank secrecy appears dead. If you have an unreported offshore or Swiss account, time is running out. The penalties for an unfiled FBAR are up to the greater of $100,000 or 50% of the highest historical account balance. Although these are maximum penalties, the maximum penalties are routinely applied by the IRS. 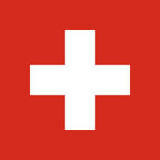 What can you do if you have an unreported Swiss account at Julius Baer or anywhere else? The IRS offers an amnesty program called the Offshore Voluntary Disclosure Program (OVDP). That program helps taxpayers avoid an audit and possible criminal prosecution but still involves a 27.5% penalty. Luckily, for some taxpayers that can prove their failure to report was not “willful”, its possible to pay much lower penalties. The first step for folks is to quickly educate themselves on their responsibilities and obligations. Time is running out and the IRS will find you. It’s just a matter of when. If you come into compliance first, the chances of a better deal are vastly improved. Why? The IRS says it won’t negotiate if they obtain your name first. What should you do? If you have an unreported foreign account, contact an experienced FBAR lawyer immediately. (If you recently opened or inherited account, a good CPA can probably help too.) Why is an FBAR lawyer necessary? Willful failure to file an FBAR is a felony. Unless you are going immediately into the amnesty program, we recommend a tax lawyer if you plan on negotiating directly with the IRS in the hopes of getting a lower penalty.